Well, I've had almost a week now for this to sink in and honestly this trip was about as good as it gets. My kids are still fairly young, 4 and 7, and although they've had a more than their share of angling experiences at their young age, they had yet to really travel to a world class destination. 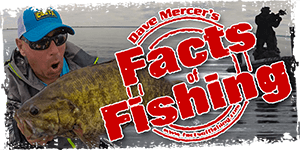 A spot where catching fish is as easy as dropping a jig over the side of the boat. That was the goal of this trip, for my two kids to enjoy that kind of experience, and in every way it exceeded my expectations. It started last winter with a bit of research and a few phone calls. By all accounts Abamasagi lake just north of Nakina was a great walleye lake. Not only that but it's a huge body of water over 14km long and 3-4km wide. I'm a big fan of large sprawling bodies of water and Abamasagi is just that. Studded with islands, countless inflowing rivers and tons of classic structure, it's a fishermans dream. There's two outfitters who operate camps on this lake. Howard Meshake and his wife Elsie own O'Sullivan Lake Outfitters on O'Sullivan lake just north of Nakina. In addition they offer a slew of fly in outposts including the Abamasagi camp. It was mentioned to me that Howard has the ability to access Aba with ATV's and that if asked would bring us in via that route. For a variety of reasons that intrigued me: lower cost, no flight delays due to weather and biggest of all, no weight restrictions. A call was made to Howard and the trip was quickly booked. Yes he would indeed be taking us in via ATV. Cost for my two young kids? Nothing. That wasn't any kind of special deal I was getting either, that's just the way Howard operates, he's a good man. Needless to say both kids were pumped for the trip and we spent many long winter hours tying worm harnesses in the basement in preparation. What made this trip extra special was the fact my dad joined myself and the two kids. 3 generations were well represented on the trip to Abamasagi. My dad was able to spend a full week with his grandkids and they bonded like never before. It was a great experience for everyone. The trip started with the long drive to Nakina, made much more civilized by an overnight stop about halfway up at our camp. Normally I would've driven straight through, but we had the extra time and I figured the kids and my sanity would benefit. We daparted the cottage early Friday morning for the last leg of the journey to Howards main camp on O'Sullivan. We would spend the night there before he took us into Aba on Saturday. On a lonely stretch of highway 11 the kids saw their first moose. An unconcerned cow standing in the middle of the road. She stopped and posed for us before trotting unhurriedly into the bush. TJ's has his tentacles spread everywhere. No matter where I go the spectre of OFC looms. Right on time Howard stopped by to load his Suburban with our gear, ATV in tow, and off we went. It was a fairly short drive to the start of the trail and in no time at all we had the ATV trailer loaded and were off. The ride in through the bush was pretty cool, both kids loved it. Howard has a cache of boats and motors waiting at the end of the trail at Abamasagi. He dropped us off there and we waited while he and Kyle went back for the last two loads of our gear. In short order we had 2 boats loaded with our gear. I had both kids in one of them, and followed Kyle and my dad in another. Our first glimpse of the big lake was inspiring. Travelling N/E up the lake we entered a long narrow arm ringed by cliffs. Howards camp is at the very end of this long narrow N/E arm. Fully protected from the elements and a nice sand beach in front it's an idyllic spot. The first sight of our home for the next week prompted some excitement from Brendan. We quickly unloaded and Kyle explained the ins and outs of the camp. There are two cabins at this site, perfect for larger groups. The smaller of the two cabins is a sleep cabin which we didn't use at all. The larger cabin has a full kitchen with electric chest freezer, propane stove and a small propane fridge. Both cabins are wired for electricity and have electric lighting as well, all powered by a large generator. In addition there's propane lighting throughout. There was an outdoor fish cooker, bbq, tons of gas for both the boats and generator, we were set. In short order we readied the boats, Riley and my dad in one, and Brendan and myself in another. The first afternoon was very much exploratory but I did manage to pinpoint a couple of shoals that were absolutely loaded with fish. Both kids had a riot. Brendan experiences the agony of defeat here. Here we are on a fish filled shoal. My dad always wanted to keep everything we caught, I had to hold him back LOL! Listen for his comment here, almost every time I filmed him he said the same thing LOL! The agony of defeat once again, then success! We kept a few for dinner and stumbled onto an absolutely amazing little island where we stopped to clean the fish. It came complete with a picnic table, fish cleaning table and a perfect sheltered spot to beach the boats. We'd use it several more times throughout the week for shorelunch. Back at camp opa played with his grandkids down at the dock while I prepared our feast. Pretty much a perfect first day! The next day was incredibly windy. As mentioned the beauty of Howards camp is its protected location. What I didn't mention was there's a small inflow just to the right of the camp. If you lift the motor and pole your way through the long N/E arm continues for several more km's. In two more places it narrows down to a boats width then widens out again and continues. It proved to be a great day trip full of exploration and tons of fish. As we passed through one of the narrow sections Brendan and I heard a tremendous splash. Just ahead of us two young bull moose were swimming across the narrows. It was a pretty big thrill for my little guy. Brendan and I caught a lot of fish that day. Not too many pictures of daddy though (camera skills aren't Brendan's forte ). All was good until for unknown reasons my dad got stuck in a marshy area and couldn't get the motor going LOL! After rescuing my dad and daughter I quickly got their motor running and we headed back to camp. Another outstanding day. The balance of the week was a blur of happy faces, suncreen, countless fish and a gauzy haze of firesmoke that hung over the lake like a pall. This video clip we're sitting way out on a mid lake shoal. Probably our most productive spot. Firesmoke covering the sky and catching walleyes hand over fist. At the far end of the lake we found a beauty of a beach. Although the beach in front of the cabin was great, this one was just outstanding. Most days we'd head over there after lunch to swim and play for awhile. My kids not too surprisingly hated trolling. They much preferred to jig with light tackle and I can't really blame them. My daughter complained like crazy anytime daddy wanted to troll. In this clip at the 28 second mark she asks me "are we trolling?" If I'd have said yes she'd have thrown a fit just because LOL! Here we are on another incredibly productive shoal. As you'll see near the end of the clip Riley was counting our fish with a paper plate and crayon LOL! At that point the count was 40 and if memory serves was around 9am. I'm not much into numbers but that day I easily put 150 fish in the boat mostly myself. Honestly I have never before experienced such crazy numbers of fish in my life! We had a couple of afternoons where the main lake got pretty rough so we confined our efforts to the protected waters close to camp. On another of the rough days Brendan and I found a huge concentration of walleye right off a rock face. Tucking the boat in behind a large boulder we hopped out and proceeded to catch a dozen or so from shore. After being in the boat for a few hours it was a nice change of pace! It was our last evening, and after hopping back in the boat we kept a bunch of fish as did my dad. We needed some take home fish and a fish fry was planned for that night. Surface temps were 75. If I'd have been able to troll some key areas with larger deep diving baits baits I'm sure I'd have nailed some bigger ones. Trolling wasn't in the cards though. Back at camp we lined the kids up on the dock for their first stringer shot. In short order I had our last meal of fish sizzling in the pan. Perfect capper to our last day. We did actually have one more big surprise that had the kids clamoring with excitement. Howard dropped by that evening to drop off more gas and another boat as a large group was flying in the next day. Much to our delight he asked if we'd mind flying out in the otter! No problem with our vehicle, he said he'd shuttle it around to the airbase in Nakina for us. That had the kids hopping with excitement all evening. Neither one of them has been in a plane of any kind and this was high adventure. The next morning dawned clear and cool. As I did every morning I sipped my coffee in the screenhouse I'd erected in front of our camp. The kids were still sleeping and serenity of the moment is hard to describe. After cleaning up and finishing the rest of our packing the plane arrived right on time. We landed without a hitch and as promised our vehicle was waiting for us at the dock. Quickly loading we were on our way home. For those that have never driven through Hearst, there's a really incredible diorama of a bull moose fending off some wolves. The kids insisted we stop for a look. I've been on literally countless trips in my lifetime, but nothing was as special as this week. Anyone who's a parent will know exactly where I'm coming from. My kids still havn't stopped talking about it. Pretty sure I've planted a major seed in both of them. Wow what an amazing family trip bud! Your kids will remember that forever.It's the little things like the puppy, going ashore to fish, the plane ride and sitting on the wolves that usually stick in their minds. Mine are 16 and 18 now and often look back in this way. What a great Dad you are Solo! Mike, you are a fine.......FINE man!! That experience will stick in their minds for a lifetime! And three generations out there to boot! Wow Mike!!!!!! This may be my favourite report of the year! Your kids are growing fast...Riley has changed a lot since I saw her last. Great to see them both having such a great time. Say hi to your dad from me too! Weeks like that make you wonder why you waited so long to make them little gems I'm sure!! Great trip Mike !!! Love the fly in lakes that have secondary access! lol The north is full of them and what the paying customer doesn't know.. well they don't need to. Next time please take some pictures, we like pictures here! Looks like it was an awesome trip! Great location for a family trip too. Thanks for sharing and making the tour video. Looks like another place I'd like to visit. Forgot to ask, how long was the ATV ride to the camp? Mike, you're right Brendan DOES hold the rod like a champ!!! lol!! Great report man! Thanks a bunch guys, I'm still on an afterglow here myself. For Fishlogic the ride in wasn't long at all, maybe 15 minutes give or take. For what it's worth I didn't mention this, but Howard asked me not to divulge the location of his trail. There's a WHOLE lot of trails all over the place up there and believe me when I tell you this one is hard to find. Yep. Your kids will never forget this, regardless of whatever else happens, they'll have these types of fond memories forever. I don't really want to say more than that. Still have to watch most of the videos, but, Juli and I just went through your "write-up" and photos. Absolutely spectacular, Mike!! If I wasn't itching to get up north with the family in four weeks like you wouldn't believe already...now I'm literally chomping at the bit, lol!!! I don't expect fishing near that great at Happy Day, but, I'm sure the family moments will be special. You're a great dad, Mike!!!! A couple things. The Stop that you made just past Aroland I'm pretty sure we got gas there after we did the Kowkash was there a big yellow Mastiff there? Did you get up into the Kowkash at all? It flows into and out of the Aba in the SE part of the lake. And on a light note your daughters FISH ON was crowded steelheader water worthy. Those memories for all 3 generations are worth more than all the money in the world. THAT is what its all about!!!! Really beautiful report Mike. I enjoyed it from start to end. Great pics, video and description of your trip. I'm sure you all will remember it fondly forever!!! Awesome report. Thanks for sharing. Those videos are priceless. The only problem I see is from now on your kids will expect the fishing to be like that whenever they go out with you. Love the references to Opa, in the video and text...brings back memories of fishing with my Opa and dad. What a magical spot! Thanks Mike. That's life as it's meant to be. Just fantastic Mike. No doubt the kids had a blast. I'll bet that they can't wait to go again next year..
Sweet report Mike. I am looking forward to taking my son up this Sept to Eddie's camp. I am still trying to get my Dad on board. Excellant report, pic's and video Mike! Memories for you and your family to last a lifetime. That's an amazing sounding trip and a great report I feel as if I were there with you lol. It's great to see that the kids had such a great time but how can they not, spending a week with there dad and catching lots of fish. Thanks for sharing it with us.